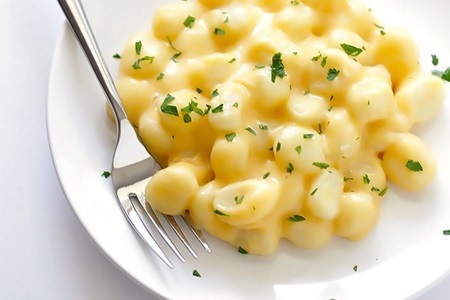 Gnocchi is a pasta dish that is typically Italian, but know worldwide mostly as dumplings. And as with many dishes from Italy it depends on the part of Italy you come from how you make it. In the Tuscany where I come from, we prepare gnocchi without eggs, but in other parts of Italy eggs are added. Obviously the ones from Tuscany are the best, else we would change the recipe, but my cousin from the southern part of Italy will disagree. 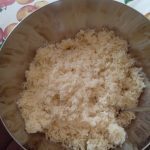 So it is up to you to decide if you want to add eggs to your gnocchi or not, either way: it is an amazing dish, easy to make and to enjoy with a great sauce and maybe some Chianti. They are particularly good when seasoned with meat sauce (ragù), tomato sauce or cheese, like in the picture. I always spend time making gnocchi in August, with fresh potatoes. 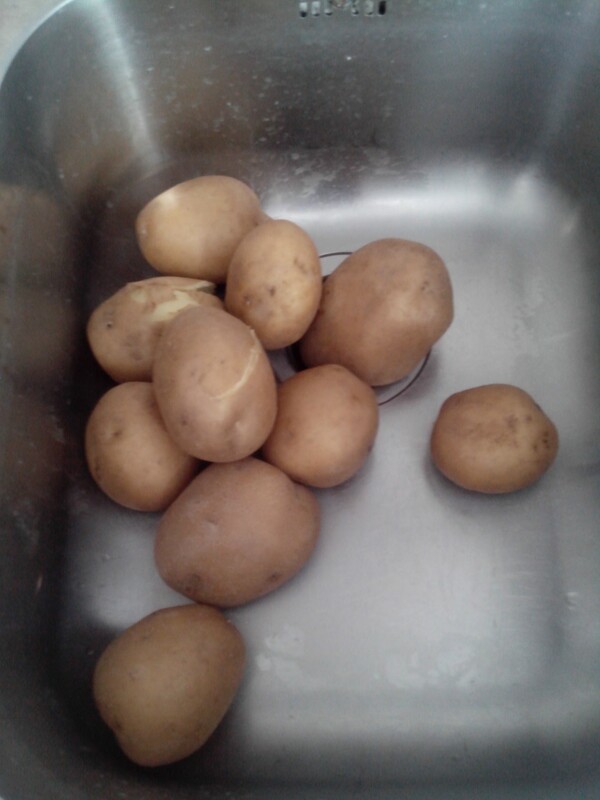 My father owns a house in the countryside, and every year, in August, we receive around 100 Kg of potatoes. Making and freezing them is one of the best ways to preserve potatoes. 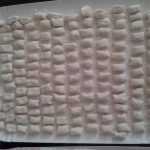 I will give you hints on how to freeze gnocchi too, so read on! Gnocchi is the Italian name for dumplings, one gnocco is one dumpling and this is how we refer to one piece of this pasta: gnocco – gnocchi. As said, this recipe is for dumplings based on potatoes and flour, no eggs. wait, the more mashed potatoes will release starch and become gluey. 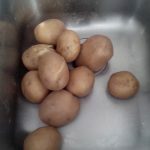 Now they are ready to be boiled, or frozen. In order to freeze them, use a serving tray (mine is paper made), any serving tray or dish made in different materials than paper will cause them to attach to the dish while freezing, this is not good. 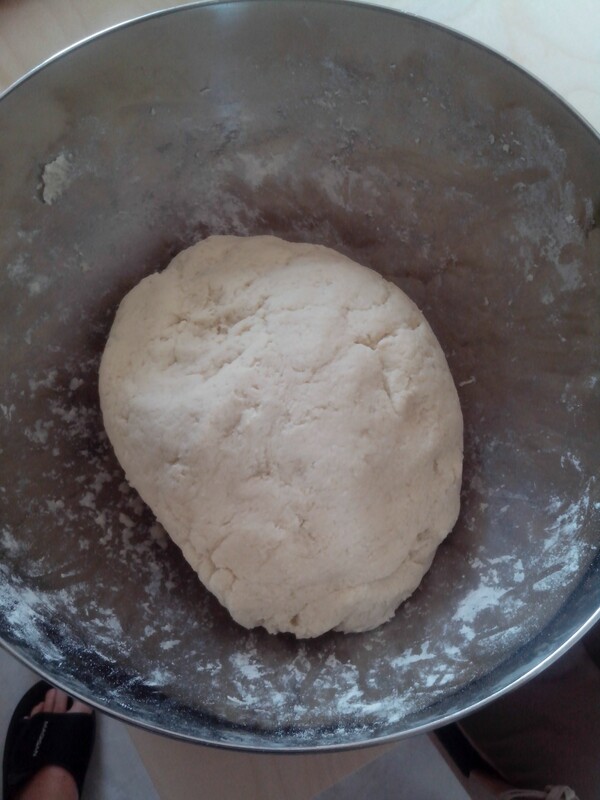 Place gnocchi over there on a layer of flour, without touching each other, and freeze this way. Once frozen, place them in a plastic bag and back in the freezer. 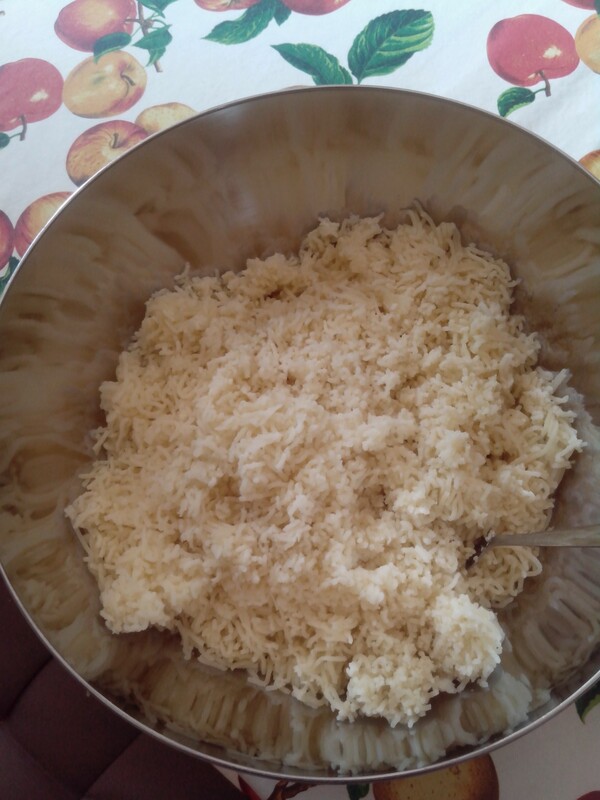 One portion is about 200 g/0.44 pounds. 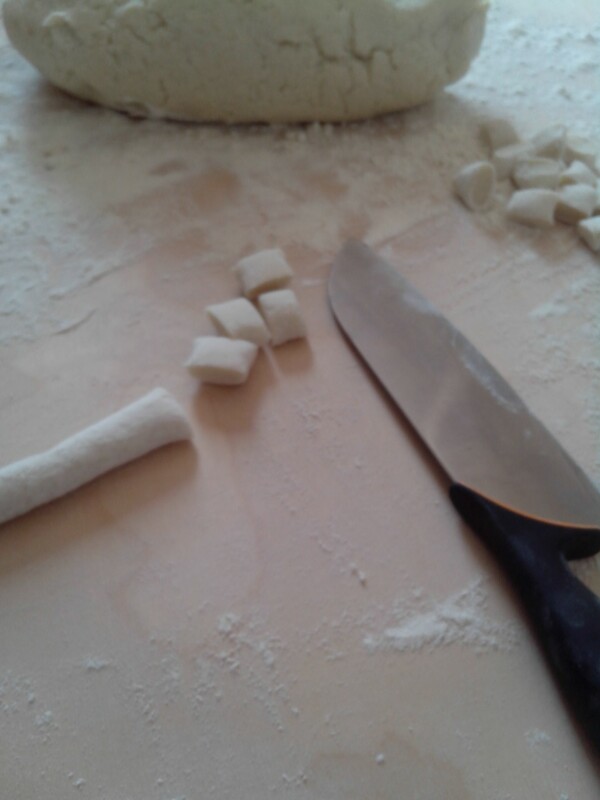 This is how we make gnocchi in Florence; in other parts of Italy egg is added to the dough (also see Wikipedia). 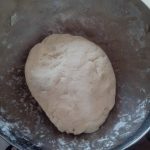 With eggs, the dough is easier to handle, but at the same time it tastes different and it is not so light; it’s also harder. 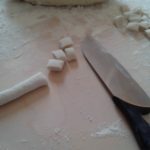 Also, someone uses a fork or a special instrument to score gnocchi: this way sausage will attach better. I don’t find any advantage in this practice, and it’s quite boring, each gnocco has to be worked again. Dive dumplings in abundant salted boiling water, as soon as they start floating they’re ready. Use more water in a larger pot. You don’t want water to stop boiling when you add frozen dumplings. You also don’t want to place all of them into boiling water at the same time, for the same reason. Place some of them and continue adding, stop when you see that water is about to stop boiling. Wait for the water to boil strongly again and add more. In the meantime, remove the gnocchi that start floating, they are ready. They are better with ragù, no doubt. You can also use tomato sauce or any other sauce. I like asparagi (asparagus) for example. A wonderful vegetarian dish to make with gnocchi is to make a sauce of Gorgonzola cheese, white whine, some creme fraiche and ripe pear. 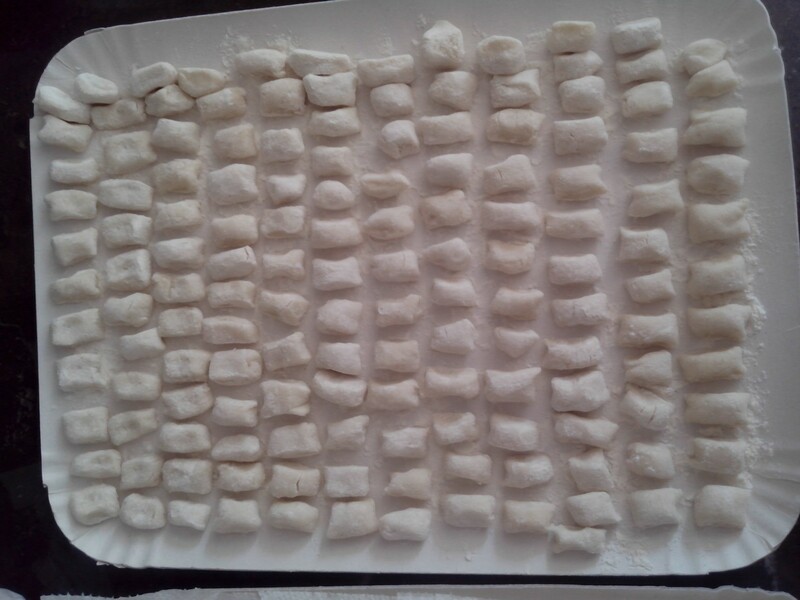 Enjoy your Italian made gnocchi!